We began this journey in September of 2012. Yes, you read that correctly! 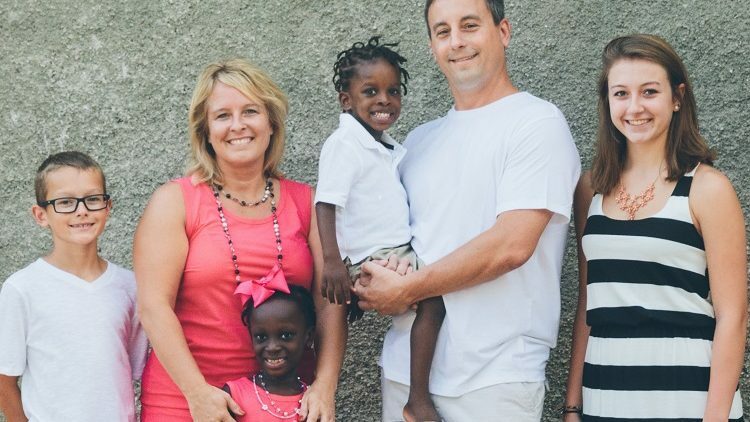 Unfortunately, our adoption journey has had many twists and turns. We have seen fraud and a power struggle literally hold our children hostage for too long. We have finally had a breakthrough and things are finally moving with the help of an amazing agency. Unfortunately, with all of that comes more fees. We have done all the fundraisers from selling bracelets, chicken, envelopes 1-100, and donuts and draining our savings. Our children are now almost 7 and 10 and ask regularly when we visit if this is the time they get on the plane to come to Indiana. We covet your prayers and any financial donation you can provide! Every little bit helps. Our agency is requesting the first payment of $1500! Any amount would be so helpful! We are also looking at fees for filing I800(US paperwork) for Aiden soon! Please let us know if you have a great fundraising idea! Prayers for you all. So much love!!! I will pray for things to speed up and that you are brought together as a family. Sorry to reduce the amount, but we are both retired now and can't be as generous. Happy Holidays! I hope you get to bring those beautiful kids home soon! I hope God brins your family together soober rather than later. Praying you are able to bring your babies home very soon!!! Blessings upon you from the class of 1988! Hopefully it is sooner than later! God speed on your adoption process! You have given your hearts and remained steadfast in your faith. You are all courageous and full of the love. The joy shows on your faces when you are with your children. Oh Lord, please bring this family together soon. Love you. Warm thoughts for your family. I hope the process speeds up soon.